Here is an article I wrote about two great shows this weekend in the Bay Area. 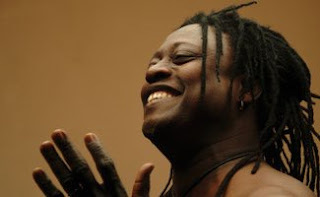 Malian Habib Koite and his band Bamada are on tour and will be performing at Zellerbach Hall with Cal Performances. Performing at the Fillmore is Mexican singer/songwriter Lila Downs. Check and see if they are coming to a theater near you! I've been quoted for the first time! Interview with Bear McCreary on examiner.com! !